Fall is here and in my house it means Football! My husband and I are big football fans so Springs Creative sent me the perfect material for a fun project, a wreath for my door, just to welcome all my football loving friends. I am in the Dallas - Fort Worth area, can you guess what team has taken over my heart? Let the colors tell you! 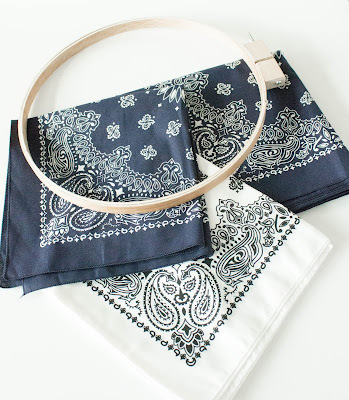 Want to make a Bandanna wreath for your home? Here's a quick tutorial. The process is super simple, it just takes some patience, straight stitches and pressing to create memory creases to follow and keep our stitching straight. The good thing about working with bandannas: All the edges are already finished! 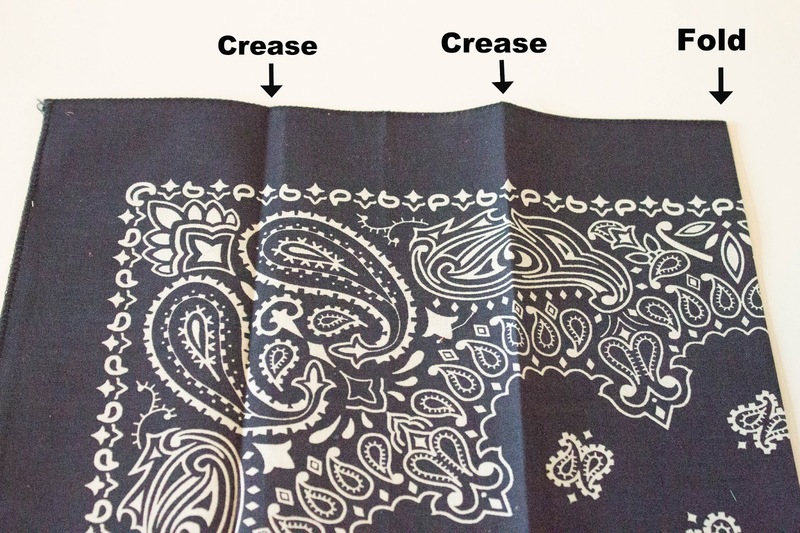 Step 1: place 2 bandannas right sides together, pin and sew (I used a 1/2" seam allowance). 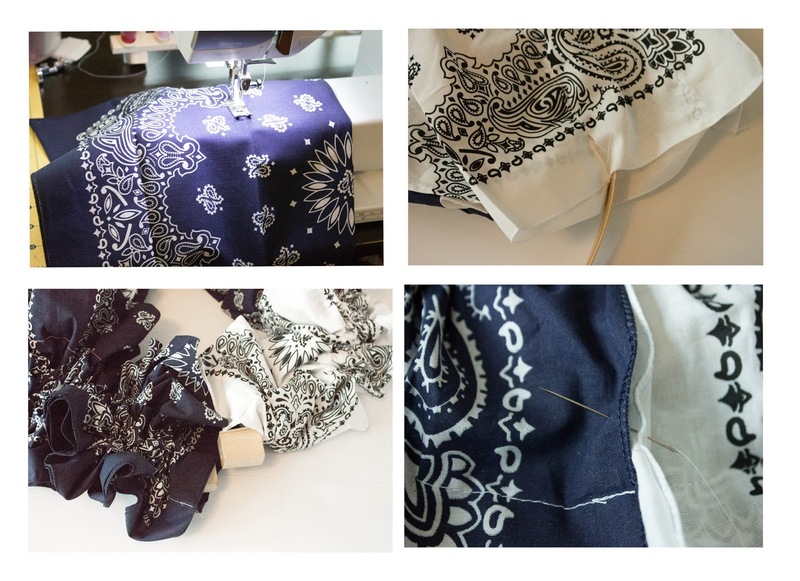 Repeat with the remaining 13, joining the bandanna ends in a long, long piece of fabric. Make sure all your sewing stays on the same side. Step 2: Press all the seams open and fold along the super long side, keeping the wrong sides together and creating a seam at the fold. 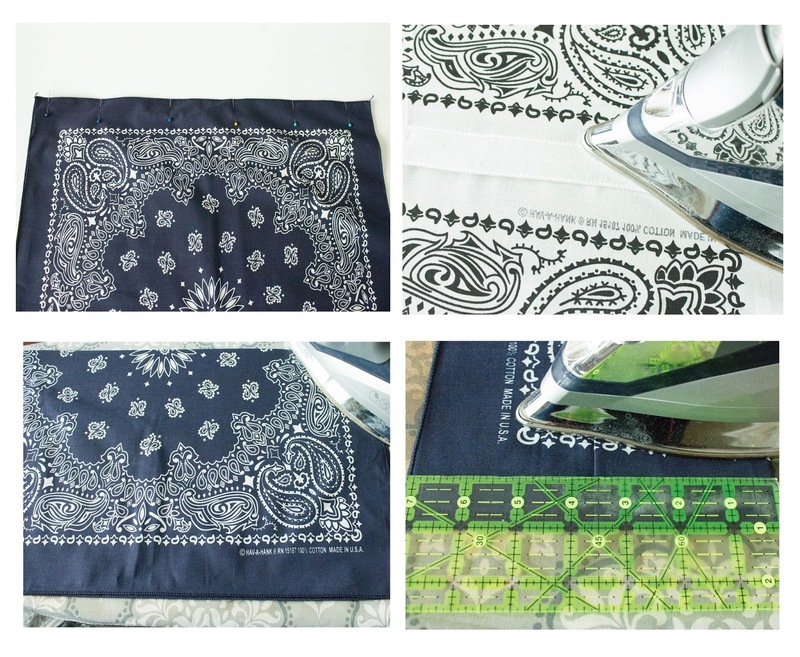 From there, you will create two creases/marks with the iron, approximately 3.5" from each other. I know, you are now thinking, does all this pressing ever ends? Believe me, it does and it helps tremendously! Step 3: Take that super duper long piece of fabric and sew along the crease lines, using the crease lines as a guide. See? Told ya those lines had a reason for being! Repeat for second crease line and you are just about done! Step 4: Use the casing you created to insert your embroidery hoop. Close the hoop and join the open ends by hand with needle and thread. You can now create a pretty bow, glue embellishments to the center and add to your wreath with a piece of ribbon or twine. Are you feeling the team spirit yet? 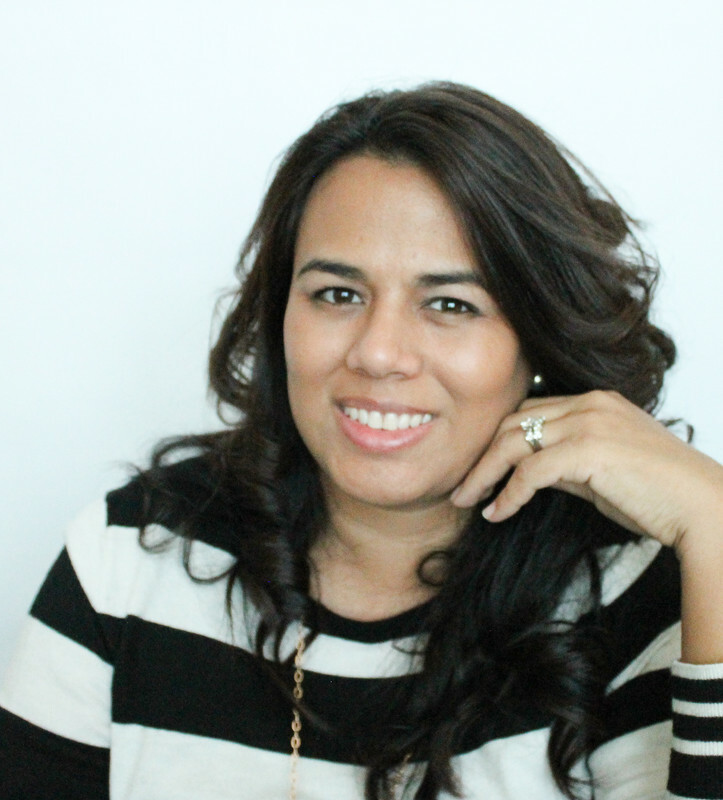 Thanks for stopping by, it was a pleasure to welcome you into my football loving home.